Hello everybody! 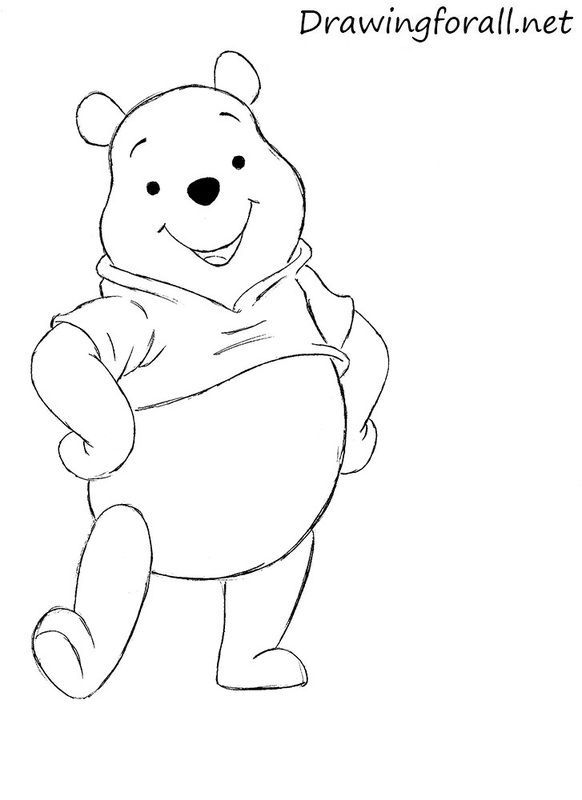 Today we’ll show you how to draw the favorite teddy bear of children all over the world – Winnie the Pooh! This charming yellow bear was created by an English writer Alan Milne in 1926. 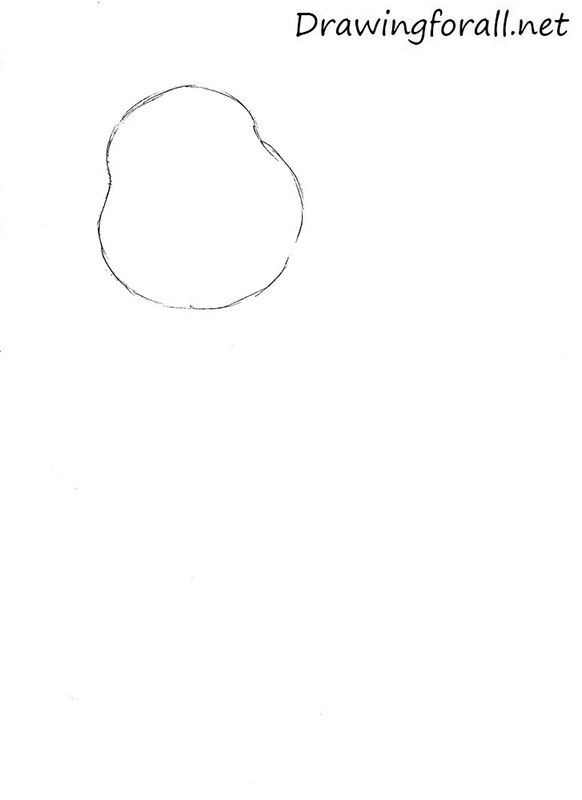 In general, this drawing lesson is fairly simple, In contrast, for example, from a lesson on how to draw Wolverine. We have divided it into several steps and described in detail each of them. 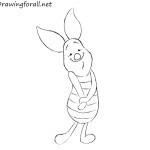 So, let’s start this tutorial and learn how to draw Winnie the Pooh! 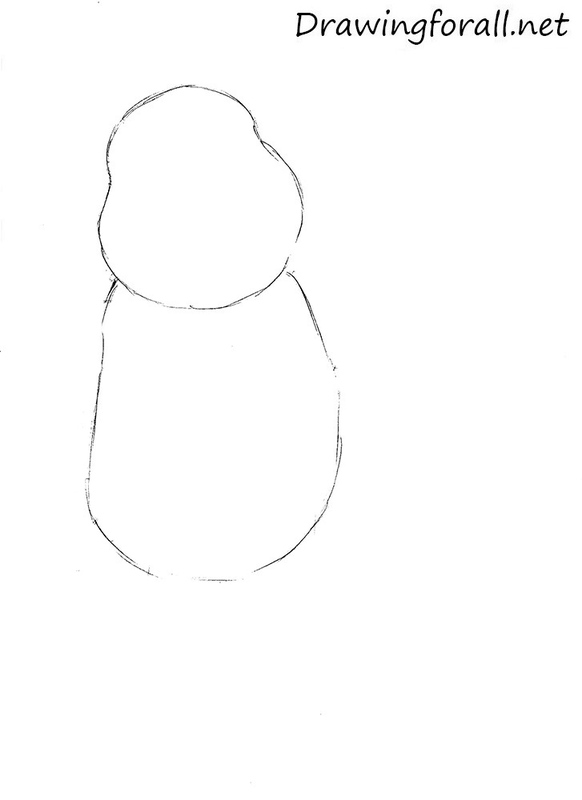 In the first step we need to sketch the outlines of the head. The shape of the head is very similar to a symmetrical pear. Draw the outlines of the torso. Straight under the head draw an oval. The shape of the body is very similar to the bean. In this step we draw hands and legs. 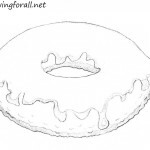 Draw them in the form of a long and slightly modified ovals. 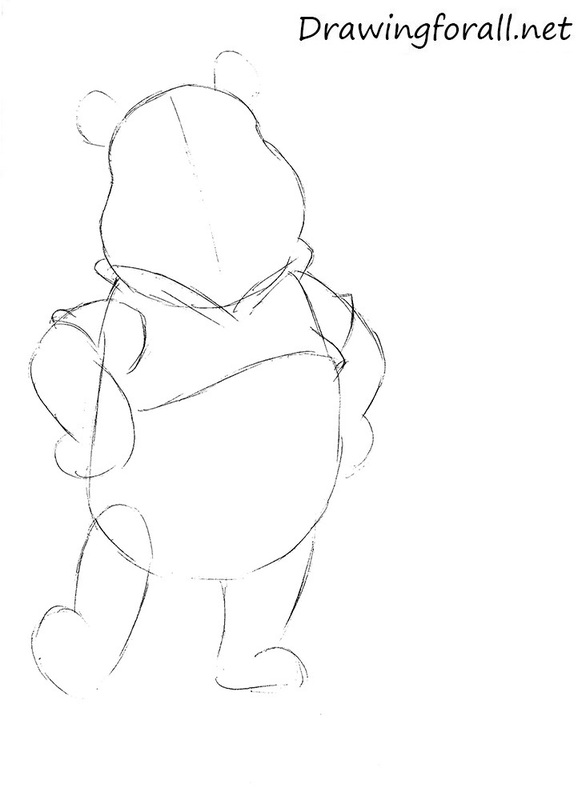 Start to add the details to the silhouette of Winnie. First draw a line of the facial symmetry. This line will help us to find the center of the face and draw all the facial features correctly. 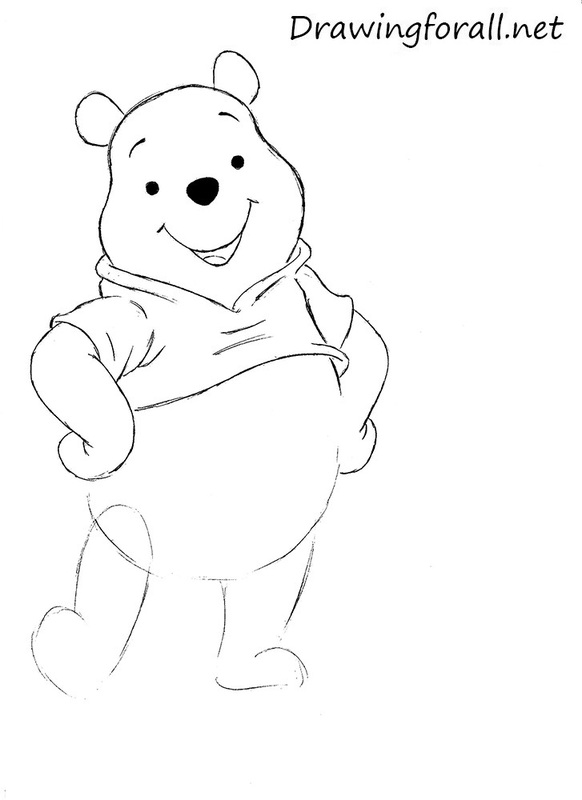 Draw the outlines of ears and start to draw Winnie’s shirt. 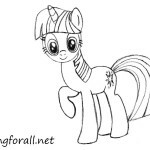 Using a wavy line draw the bottom line of the shirt. Outline the collar and the sleeves. Facial features are quite simple. 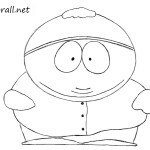 First draw a nose. It should be located in the middle of the face. Slightly above draw the eyes by two dots. 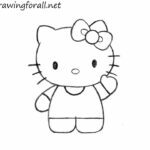 By using curved lines draw the mouth. Draw eyebrows and move to the next step. Erase the guidelines from the face and darken the lines. 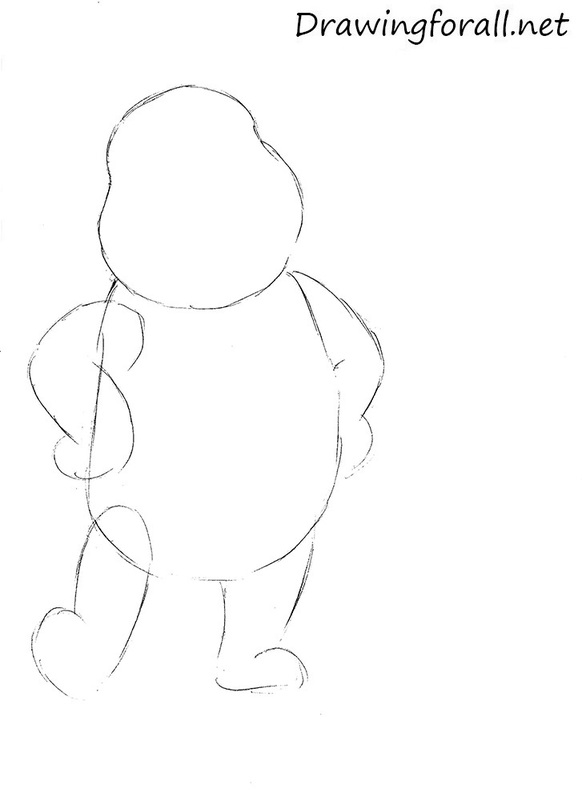 Then erase the guidelines from the torso and hands. Darken all lines of the upper part of the body. Add some folds to the shirt and move to the next step. As in the previous step erase all unnecessary guidelines and darken the lines of the lower part of the body and legs. 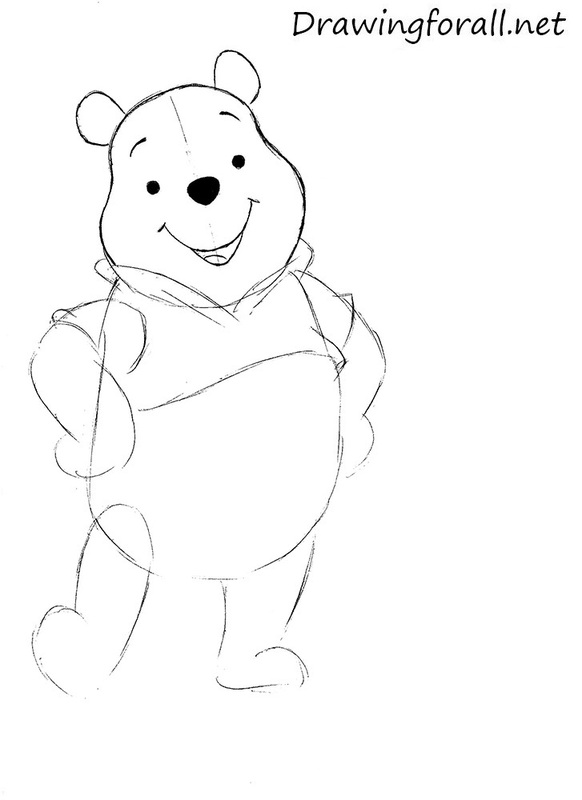 That was step by step tutorial on how to draw Winnie the Pooh. We hope this tutorial was interesting and cognitive for you. 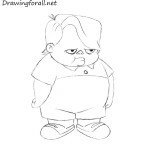 Stay tuned and wait for new drawing tutorials!